San Francisco, CA, May 7, 2018 – VIZ Media, LLC (VIZ Media), a premier company in the fields of publishing, animation, and global entertainment licensing, announces a content development & merchandise partnership with animation studio Ghostbot, Inc. for the character brand CHUMMY CHUM CHUMS. 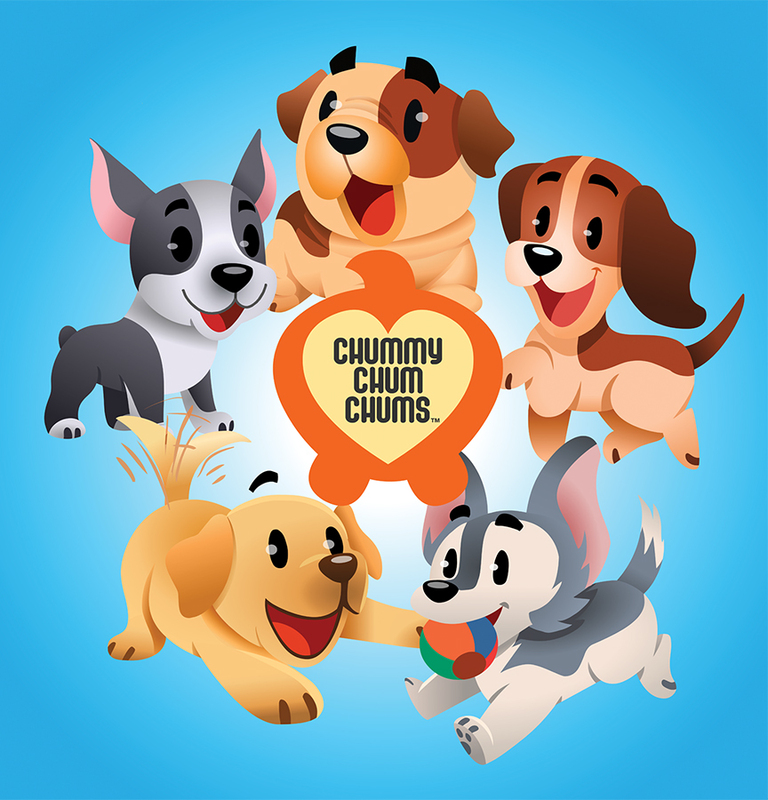 With hundreds of millions of active global fans, CHUMMY CHUM CHUMS is one of the top sticker sets in social media messaging. Since the launch of CHUMMY CHUM CHUMS in September of 2016, millions of fans have been sending and posting billions of these cute, animated stickers to express love, sadness, laughter and excitement to friends near or far. The Chummy Chum Chums are friends through thick and thin, and are quickly becoming the perfect lifestyle brand for the digital era. VIZ Media will be working closely with Ghostbot to develop and expand the property, including all categories of consumer merchandise, animation and more. CHUMMY CHUM CHUMS will be one of VIZ Media’s highlights at the upcoming Licensing Expo 2018 (May 22nd – 24th, Las Vegas, Booth #R202). CHUMMY CHUM CHUMS is now widely used on popular social media platforms including Facebook and Instagram as well as through iOS. Since the phenomenon began in 2016, billions of these cute, animated stickers have been sent since the brand’s inception, by hundreds of millions of active fans. Every day, tens of millions of stickers are sent daily. For additional information on other titles distributed and published by VIZ Media, please visit viz.com. Formed in 2004 with over 50 years of combined experience in the entertainment sector, the principals of Ghostbot work tirelessly to deliver the highest quality product. Throughout the history of the company, the award-winning animation studio has come to be recognized as one of the premier creative forces in the animation industry. Additional information is available at: https://www.ghostbot.com.